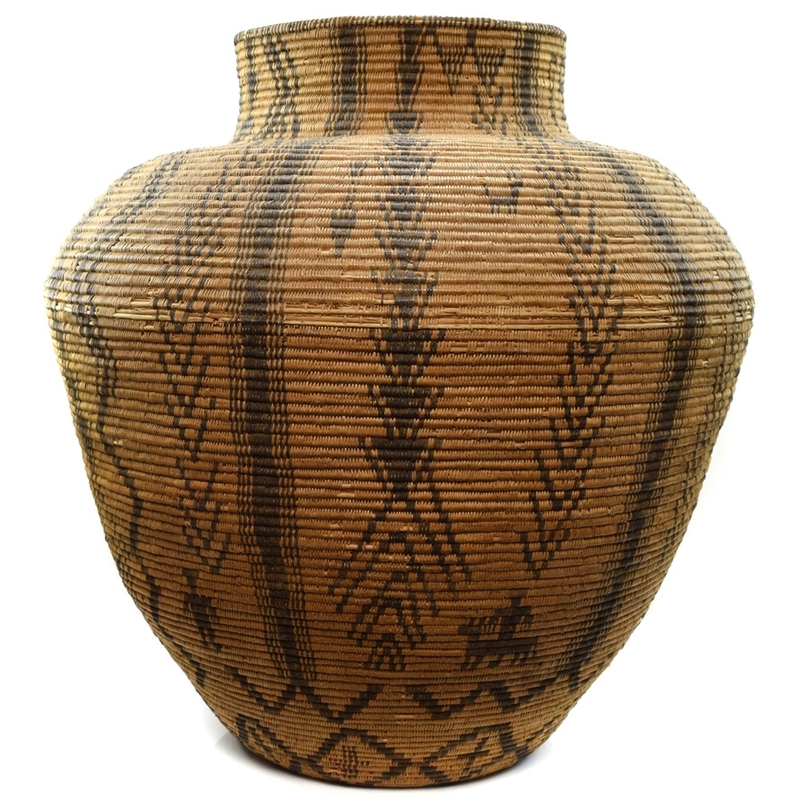 New Acquisitions - Jewelry, Baskets, Paintings, Weavings, and Pottery. Ross Stefan Paintings, Large Apache Olla, Nampeyo Family Jar, Hopi, Pima, and Navajo Baskets, Large Navajo Weavings by Ada Kai, Navajo Six Figure Yei Rug, Jewelers including Thomas Curtis, Tim Kee Whiteman, Norman and Virginia Hooee, Number 8 Turquoise, and More. Navajo Silver Belt Buckle c. 1940s, 1.75" x 2"
Navajo Turquoise and Silver Belt Buckle c. 1930s, 3.25" x 4"
Navajo Wedding Basket with Silver Button c. 1950s, 2" x 11"